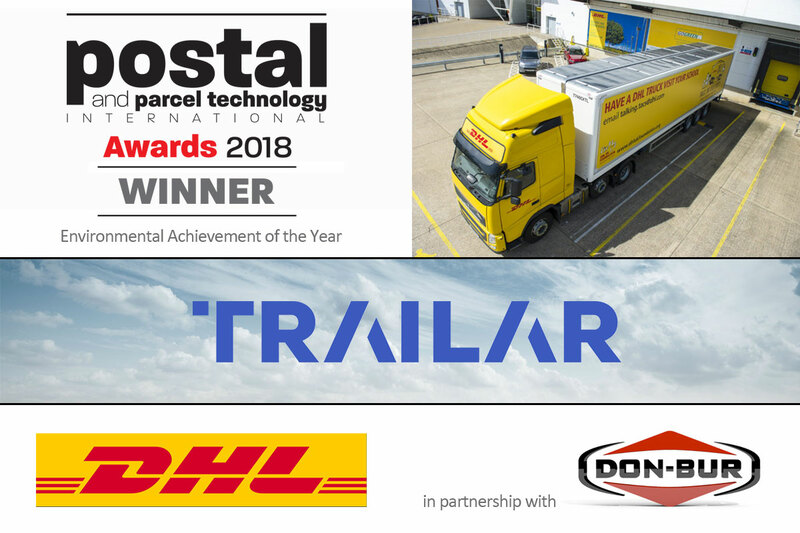 Deutsche Post DHL Group (DHL) developed the TRAILAR solar transportation solution as part of its target to achieve zero emissions by 2050. The aim is to make the operator’s fleet greener, more cost-efficient and urban-friendly. In an industry first, DHL worked in partnership with Don-Bur, a commercial vehicle manufacturer, to develop the solar solution, which consists of thin film solar mats fitted to vehicle roofs and connected to the vehicle’s battery or additional onboard batteries. The matting has been developed with a thickness of 2mm to reduce its impact on aerodynamic performance. Harvested solar energy is used to power tail-lifts and all ancillary equipment, such as air-conditioning and refrigeration units. The result is that trailers become self-sufficient, therefore reducing the electrical load requirements on the truck. This can extend the range of electric vehicles or reduce the amount of fuel consumed.